As Greg Grey Cloud sat in the courtroom waiting for his case to be brought before the judge, he said that he was very nervous. Four other protestors who were inspired by Grey Cloud’s bold actions and sang after him in the Capitol building already had their cases heard. 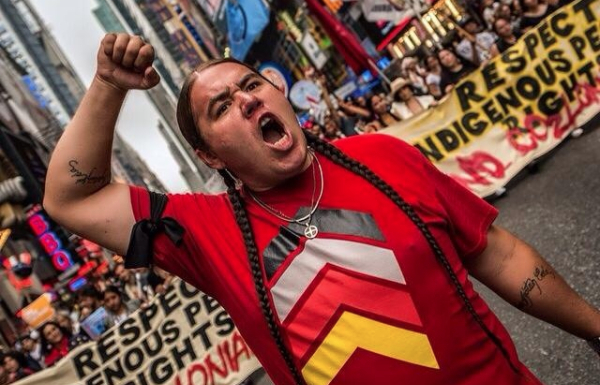 After every other protester was dismissed before him, Grey Cloud kept telling himself that he was next, but incidentally the most well-known of the group who sparked a social media frenzy that day ended up having his case heard last. SICANGU LAKOTA OYATE — Greg Grey Cloud made the Lakota/Dakota/Nakota Nation’s proud when he belted out the unci makawiwayangwacipi song in Senate Chambers today. Grey Cloud is an enrolled member of the Crow Creek Sioux Tribe, co-founder of Wica Agli and an oka wicasa. More than 50 protestors against the Keystone XL pipeline posed in front of a replica pipeline on the lawn of Senator Mary Landrieu’s (D-LA) residence on Capitol Hill, calling for the lawmaker to drop a vote she initiated in the Senate to approve the controversial fossil fuel project. 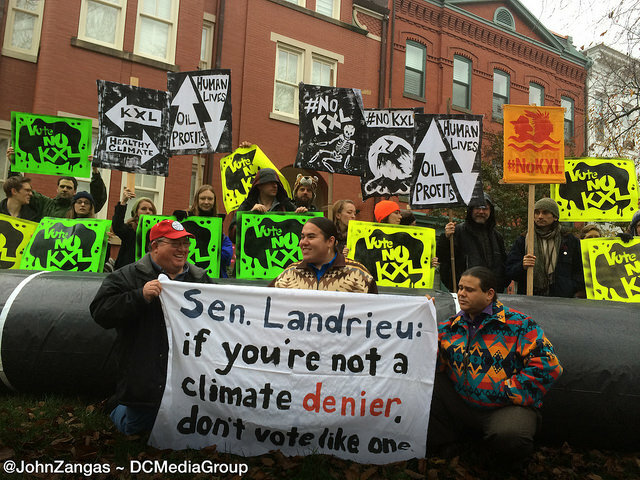 Native Americans and landowners from Nebraska joined activists from 350.org at Landrieu’s house early on a rain-soaked Monday morning. 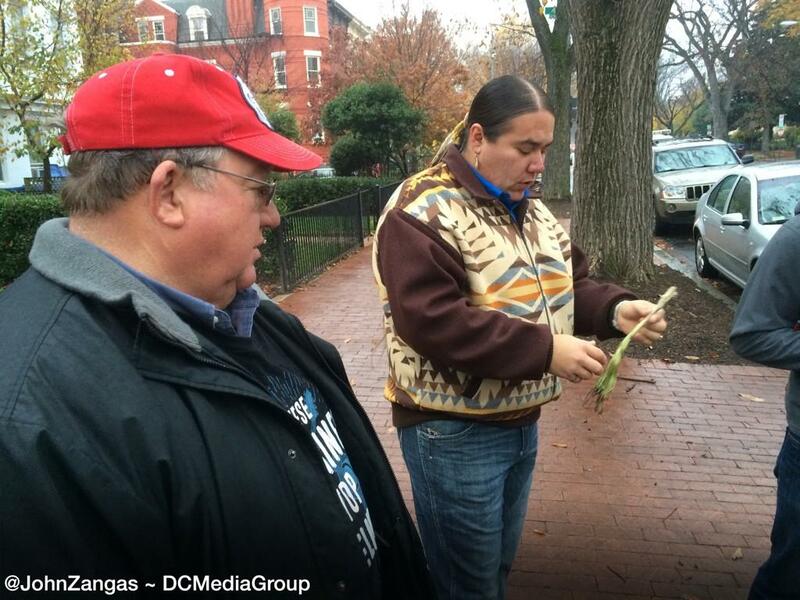 They held fluorescent signs saying, “Vote No KXL!” and burnt sage in a Native American ceremony.